Every now and again you’ll run across an object that you want to change, but don’t want to have to figure out what nested family it’s using, stop working on the project, find the profile family, open the family, change it, save it, load it into the project, yada, yada, yada… who wants to do that? So let’s take a look at how to deal with nested family objects like wall hosted sweeps and specifically in this case floor slab edges. 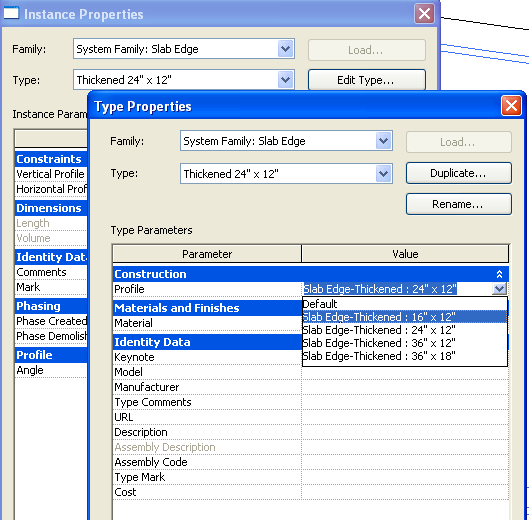 These objects are unique because they are System Families (handled specifically within the project by Revit) but they rely on Standard Families (user created content). The Floor Slab Edge relies on a profile that is loaded into the project. 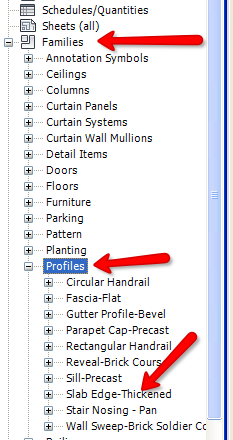 Assuming that the profile family is created properly and is parametric in a sense that we need it to be, we can make changes to the profile without even leaving the project. 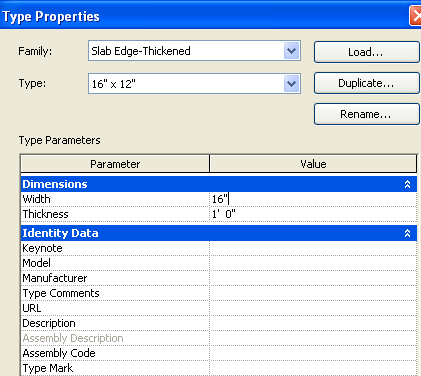 Change your Slab Edge type to use the profile! There you have it. No leaving the project. No opening family files. None of that! Stay in the project, stay productive! 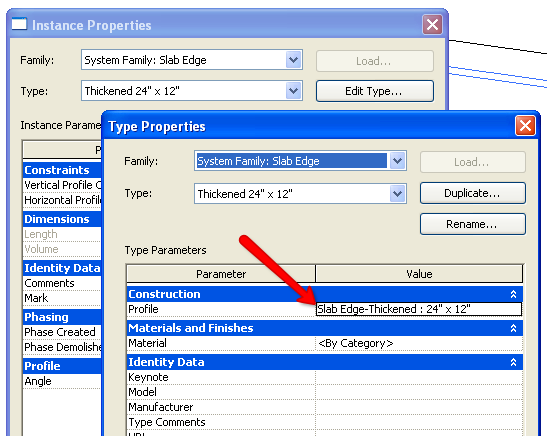 Note that this procedure can be used to create new types of any family in the Project Browser. 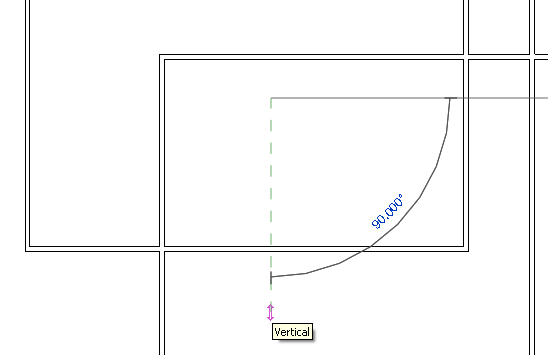 Hope this helps you stay a bit more productive and I hope to see you again on another Revit TotD! 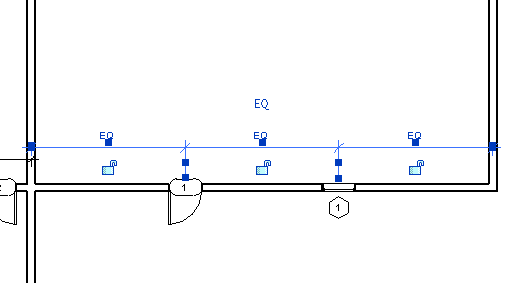 Continuing the topic of floors, I want to talk about a scenario that happens in a lot of projects; especially since this is something that happens in MANY commercial roofs. I speak of the one and only varying thickness in a layer of an assembly. Floors or roofs, this method can be used with either of them. So let’s do it! Create your Floor, making sure it has layers. 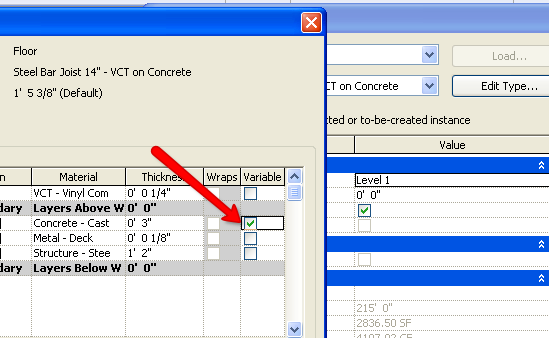 Ensure that the layer that varies in thickness is set to “Variable” in the assembly editor. 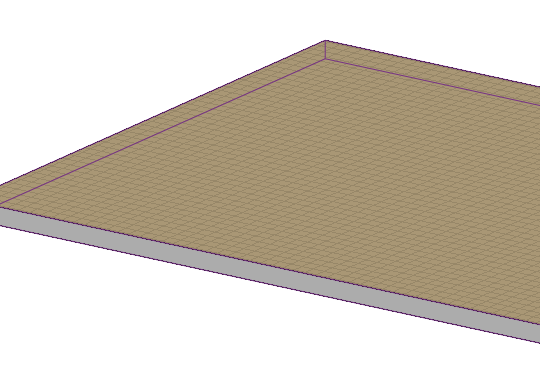 Add a Sub-Element Point to the floor surface. Verify the layer you wanted to vary is doing what you want. Beautimous! See where this can be helpful when doing those flat roof systems?! I’m sure you’ll be using this one over, and over again in the future. Thanks for stopping by, and we hope to see you again soon for another Revit TotD! 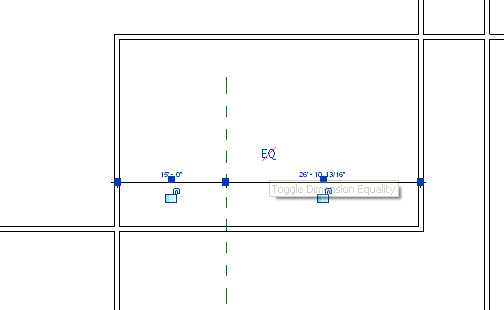 So you just finished placing the existing structure of building you are remodeling into revit and start working on the floors… only to ask the question, “Should I really have made this a single floor type?” Well, today’s tip is less of a How-to and more of a How Carl Does It. Typically, you would simply build the layers into the floor structure, but sometimes the situation calls for a different approach. In this case, we already have one flapjack down (the structural slab). Now we just need to stack our plate higher! This is something like what you would be dealing with in this situation. 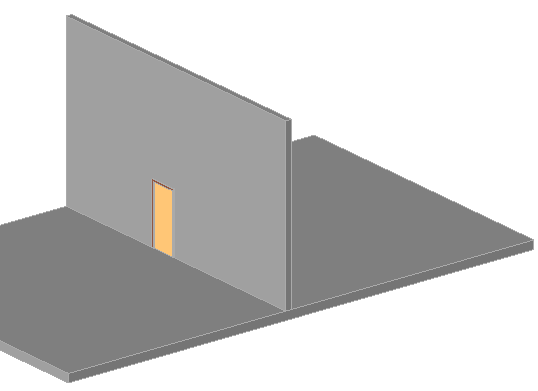 A simple slab with your interior partition walls in place on top of it. 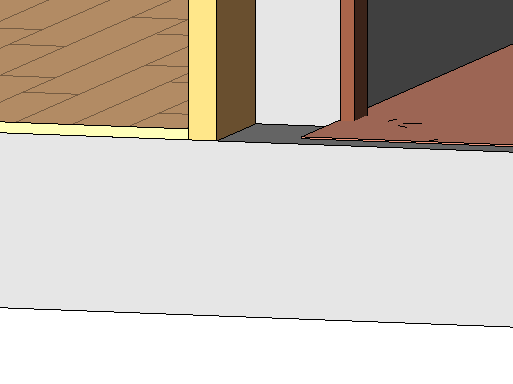 Obviously, the floor finishes wouldn’t run under the partition wall (hopefully they weren’t that lazy when building the walls). 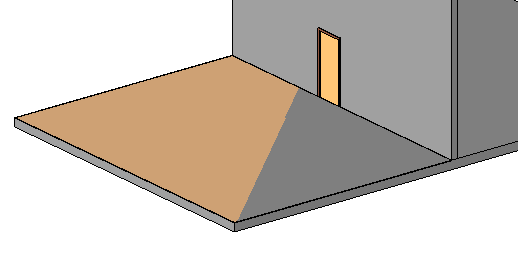 So we want to place a new floor with each finish structure on each side of our wall. Now this doesn’t finish our little fiasco here. 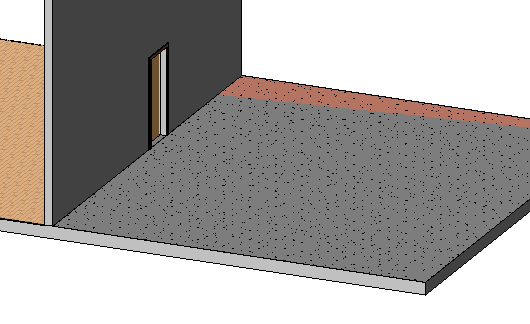 You’ll notice that our floors are actually embedded in each other, so this is where we need to break the real parametrics part of the model. We’re going to manually offset the floors, each by it’s own total thickness in order to keep them from overlapping each other. So another nice easy one to help get me going again. 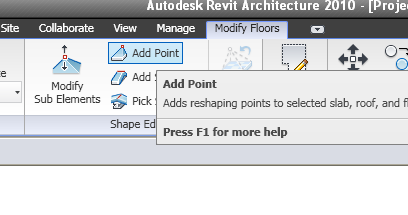 Thanks again for stopping by and I hope to see you again for another, Revit TotD! Oh, hello there! Thought I had completely forgotten about you, didn’t you? Well, no, not completely. I had to deal with some personal issues, namely the beginning of my family! You can all blame it on my new son when he’s old enough to understand what you’re all upset about. Till then, I’m going to ease my way back into the mix here, starting off with a nice simple TotD. Enjoy! 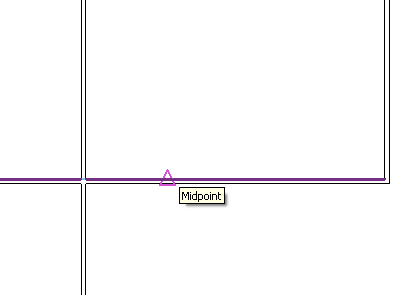 The center between two objects (midpoint along a line stretching between two objects) can be found a couple of ways, the easiest is through the midpoint snap (‘SM’ on your keyboard). 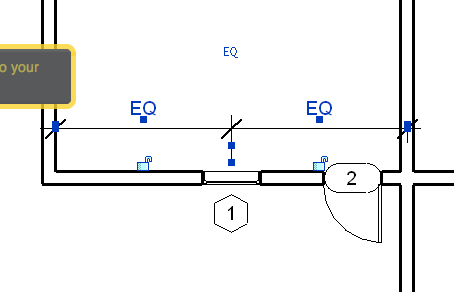 And click the ‘EQ’ that appears above the dimension when it is selected. 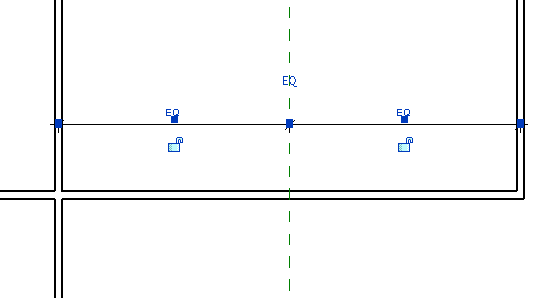 This will place the Reference Plane an equal distance from both objects, and unless my geometry teacher was completely wrong, that is the midpoint between the two objects, also known as “Centering” an object (in this case a Reference Plane). You can also do this with other objects such as Doors and Windows. Well, like I said; a nice easy one to ease my way back into the mix. 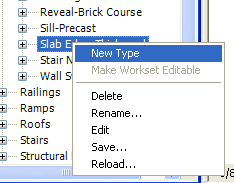 Stay tuned for the next Revit TotD!